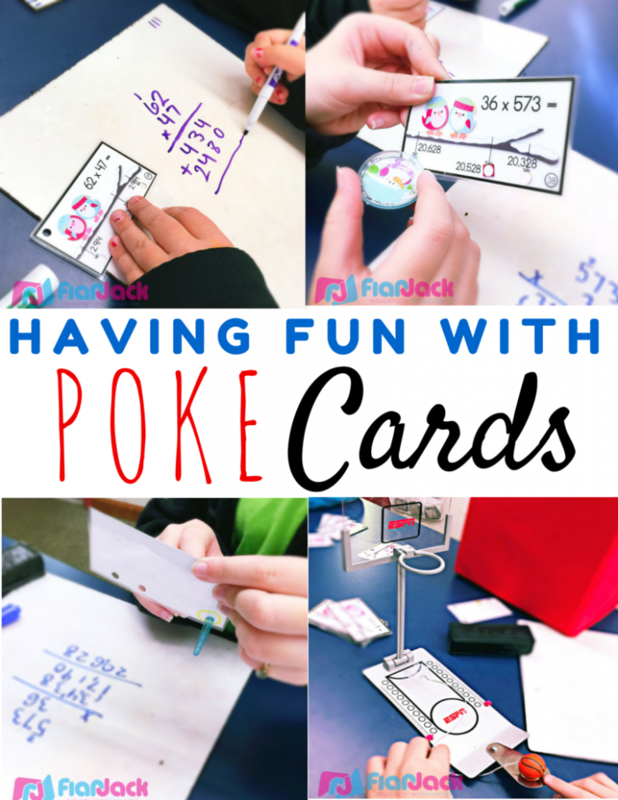 Poke cards are a tool my students have been using for awhile now in math centers, and if you haven’t tried them, you should! Their self-checking format kind of reminds me of Hot Dots cards if you’re familiar with those. 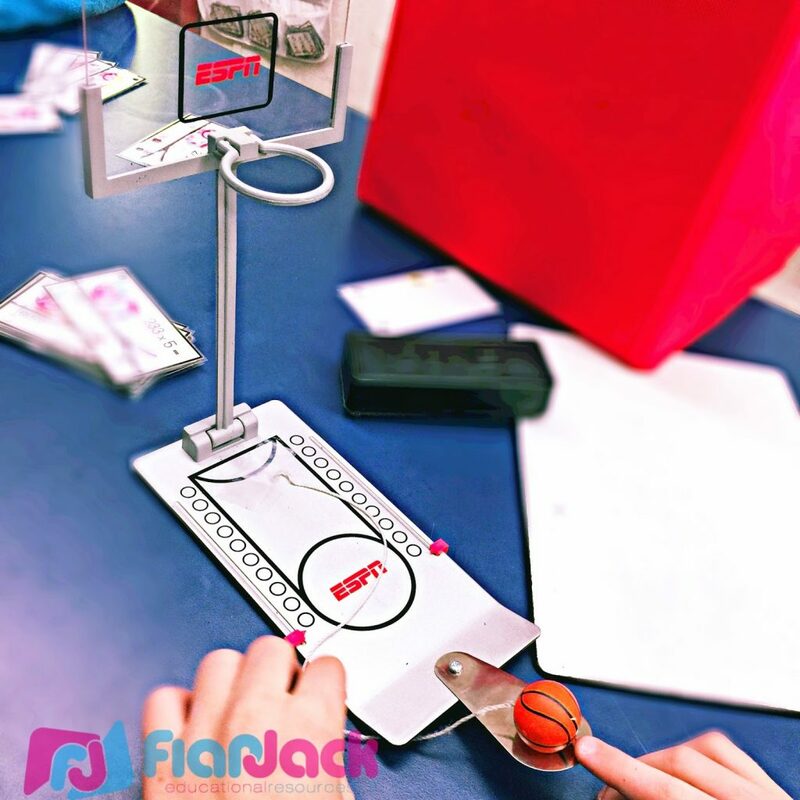 It’s engaging, works great with partners, and students can be completely independent (while having fun!). 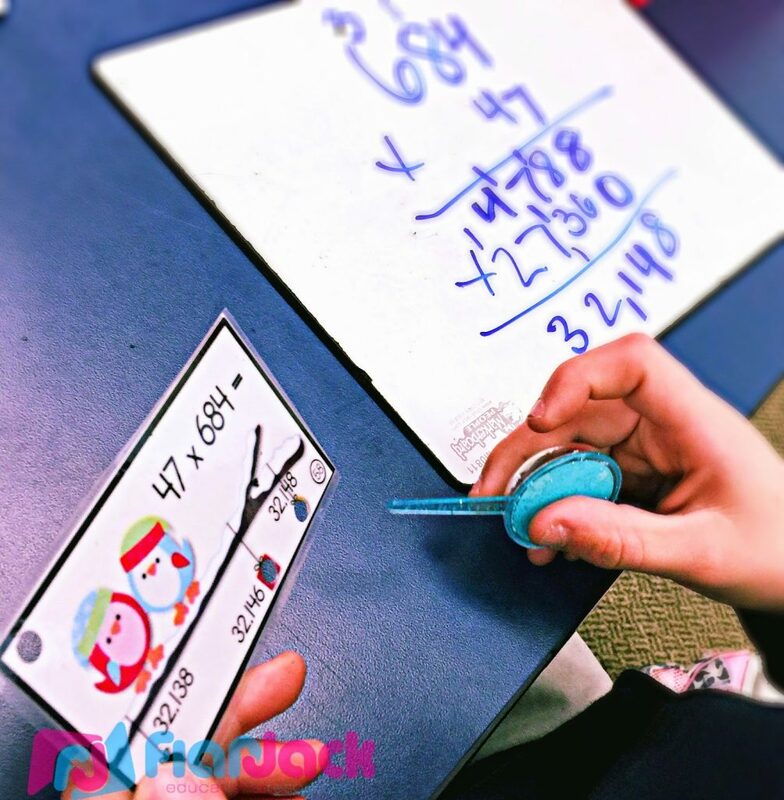 Students choose a poke card and solve the problem. They “poke” the right answer with a pencil, coffer stirrer, cupcake pick, magic wand, ect. In this image we are using a cupcake pick, I believe, that has snow inside that you can shake! 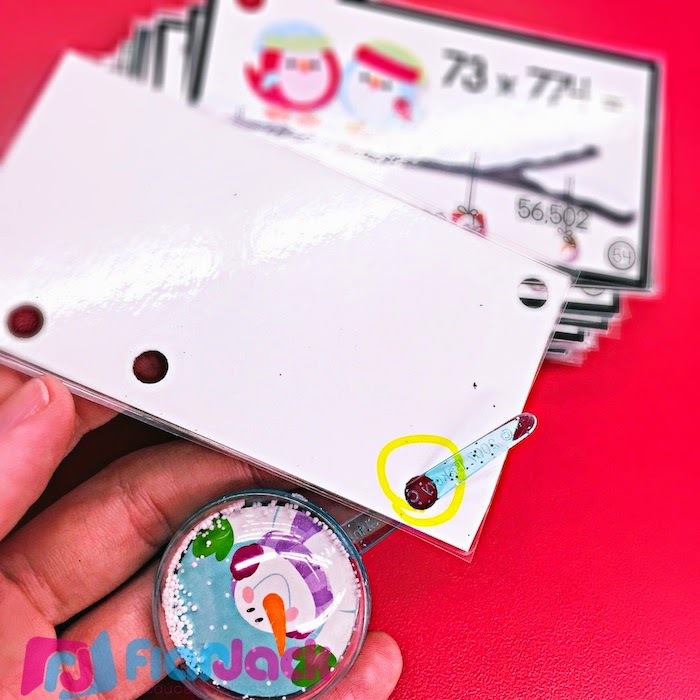 Then, if alone, students check the back of the card to see if their poker went through the right hole. If they’re with a partner, the partner will check for them. 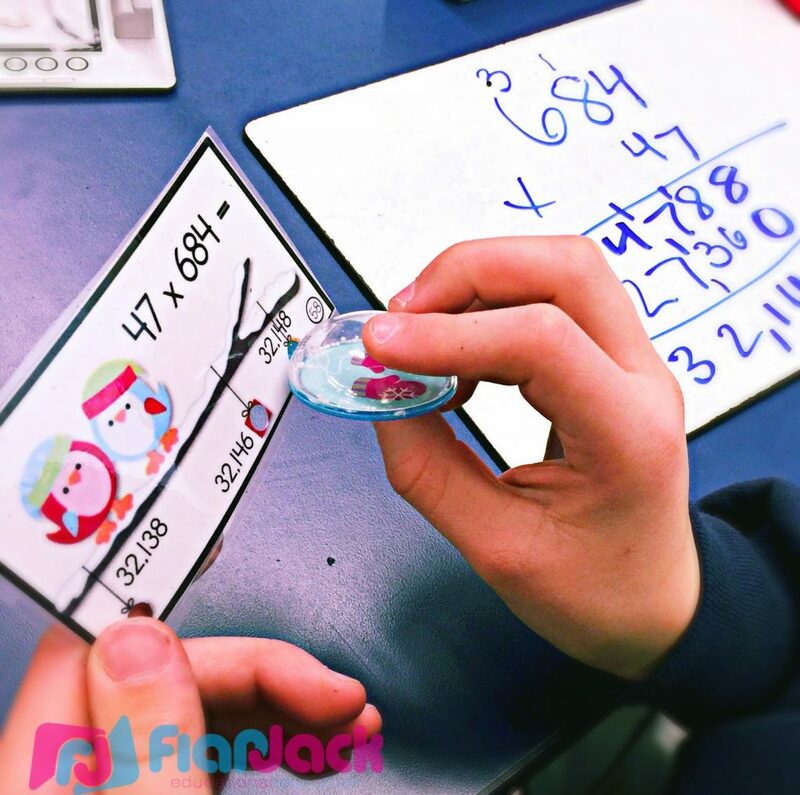 This week we have been practicing multi-digit multiplication, so I made some winter multiplication poke cards for them to practice that. Students worked out the problem on the card with white boards (although I have included recording sheets, too). They poked the right answer. They showed their card to a friend to check for them. 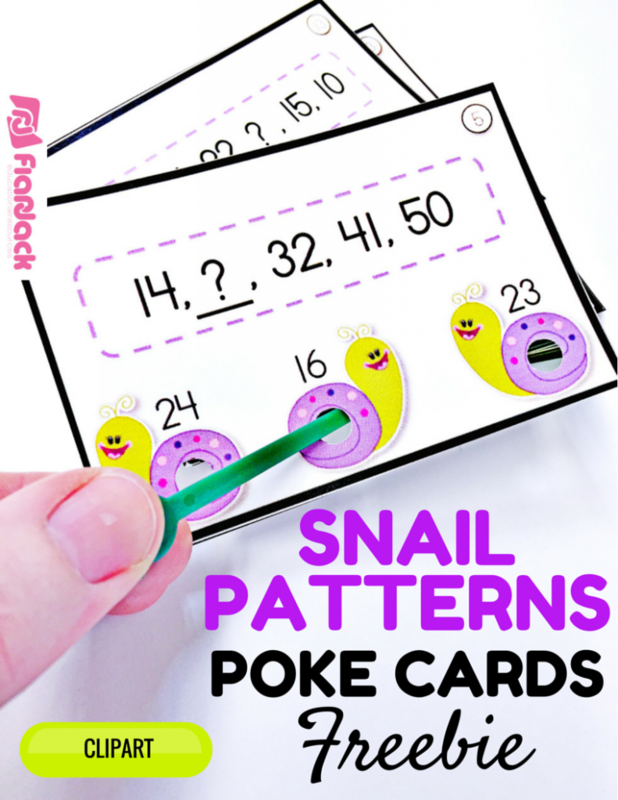 So if you’d like to give poke cards a try or even if you have already, I just uploaded a new freebie called Snail Patterns. It’s aligned with common core standard 4.OA.C.5, and I think it should be a lot of fun for upper elementary kiddos. 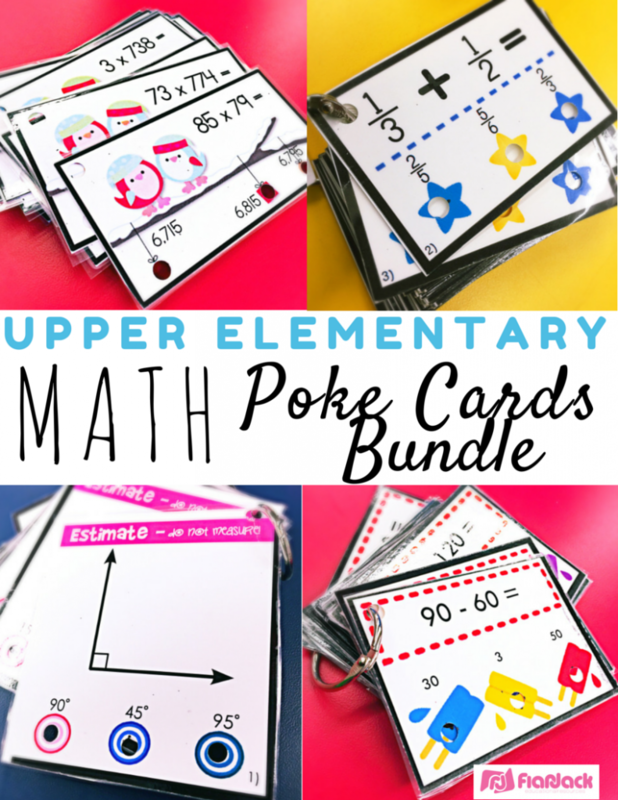 I also just recently bundled up ALL of my upper elementary poke resources. 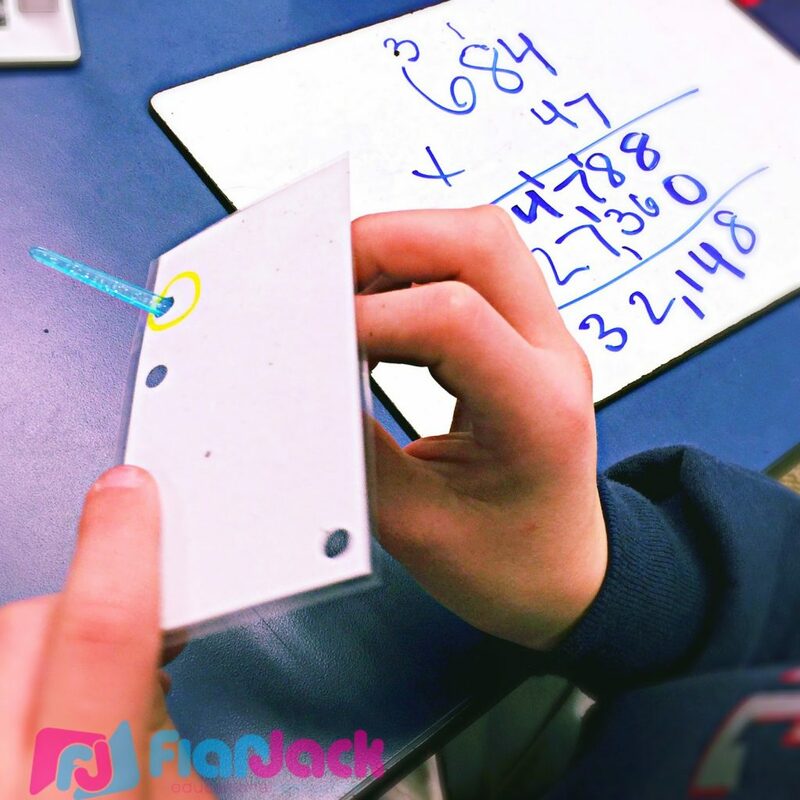 You’ll find review on fractions, math facts, multiplication, elapsed time, angles, coordinate graphing, and a lot more! 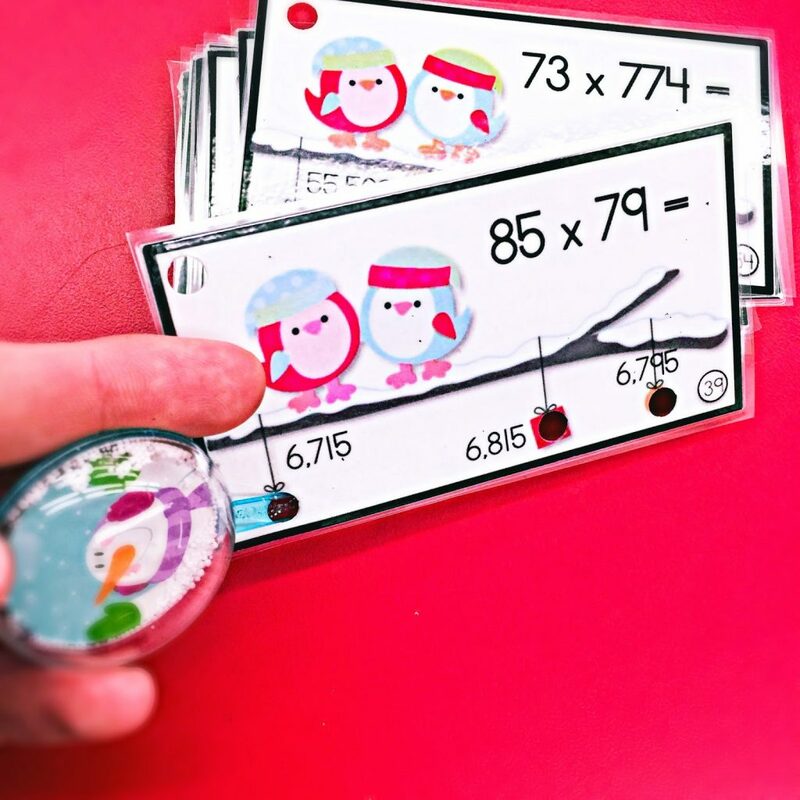 With over 1,500 cards, your students will be poking all year! (Just hopefully not each other! Dull points, teachers, dull points.) Check it out here. So I hope you enjoy the poke freebie! Let me know what you think! Happy teaching!